There’s an atmosphere of excitement on this week’s SmackDown, like we’re on the precipice of something important. 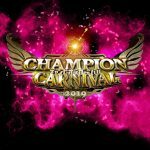 Two solid matches grace this show, stories develop, and the existence of Breezango continues to be a joy. 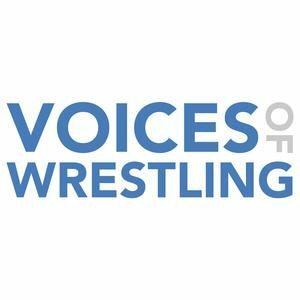 A SmackDown Review From A Guy Who is Too Tired From Watching Raw And NXT To Watch SmackDown On A Regular Basis…or “SmackDown Review” for short. This SmackDown was fresh and original, with the IC match and main event absolutely worth watching– and new NXT faces, to boot. Sami Zayn reminds us why he’s infinitely more interesting when he’s striving. This is an awkward SmackDown with three matches jammed in the taping before Monday’s RAW: a length of recording that left the crowd so lethargic they were reduced to trash-chanting over a match with Kevin Owens and Sami Zayn in it. A surprisingly newsworthy edition of WWE SmackDown with gratifyingly good wrestling and burgeoning emotional storytelling. Strange times indeed. Another strong showing from WWE SmackDown, jam-packed with singles matches, and a jaw-dropping main event between AJ Styles and Kevin Owens. Any show that opens with a confrontation between Sami Zayn and Kevin Owens is worth watching. A much recommended episode of WWE SmackDown, with a genuine feeling of escalating importance as we hurtle toward WrestleMania. Some months ago, in another WWE SmackDown review, I talked about the idea of a fictional universe inherently needing a system of checks and balances to keep the powers of its heroes drifting wildly out of control. While WWE continues to lack either checks or balances, the quality of combat on the show continues to improve. Rarely, and without warning, WWE will descend into a Jacobean revenge tragedy. On WWE SmackDown, our amoral monarch visits, and intriguing midcard plotlines are left to unfold. Some working boots on this week, but a bizarre way to feature the much-hyped Brock Lesnar in the go-home SmackDown for WWE Fastlane 2016. The Jericho/Styles sandwich on this week’s SmackDown betrays a painfully depleted roster and the lurking ghost of “wins and losses don’t matter”: but these things are a lot easier to forgive when the wrestling is actually good. A rare clean finish at the climax of WWE SmackDown: but is love bigger than ego? It’s very rare that I wish I didn’t write about WWE, but weeks like this are tough. Roman Reigns attempts to overcome the odds once again, and we celebrate R-Truth’s birthday on this week’s WWE SmackDown. It’s WWE SmackDown on the USA Network! 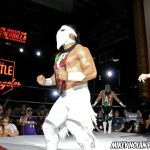 Jerry Lawler can barely reliably identify the New Day from each other while newcomer Mauro Ranallo knows that Xavier Woods’ trombone is called Francesca. Happy New Year, SmackDowners! It’s been a riot. Super SmackDown was a pleasant, easy watch, with denser quantities of wrestling than we’re used to: and a killer main event. This was shaping up to be a Nothing SmackDown until the last half an hour where a great, violent, main event made me sit up and pay attention. Roman Reigns wrestles twice, and if that doesn’t do it for you, we finally get Kevin Owens and Dean Ambrose face to face in a war of words… almost. Well, not almost at all. Damn lawyers. Roman Reigns must overcome insurmountable odds from the League of Nations this week on WWE SmackDown. 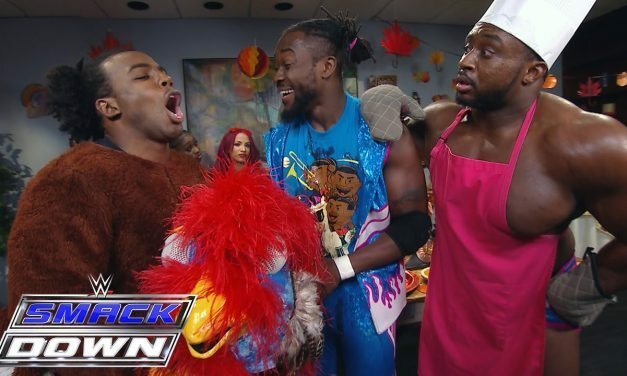 5 matches on this Thanksgiving episode of WWE SmackDown; three ended with DQ or interference, one with a roll up. Still, the main event was very worth watching. This was a weak go-home show with a lot of convoluted nonsense: and failed to book any more desperately needed matches for WWE Survivor Series 2015. 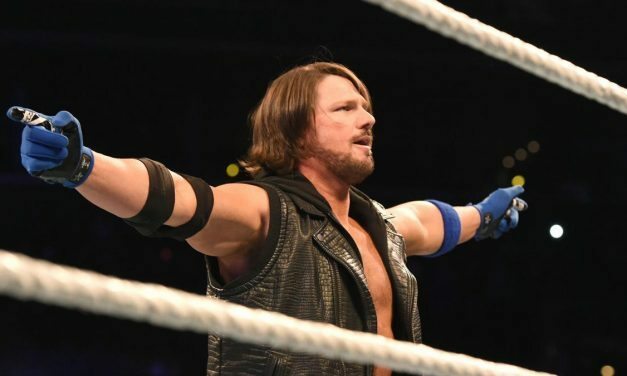 Sometimes it’s hard to work out whether the key to appreciating and understanding WWE SmackDown is to pay very close attention; absorb and analyse everything– or if the real secret to enjoying it is to pay less attention. I’m increasingly inclined to believe the latter. The dust has settled after the frantic apple-bobbing and pumpkin superkicking of last week’s Halloween SmackDown; the nights are drawing in, and there’s nothing to look forward to ’til Christmas. The bi-yearly tour of Europe kicked off this week (and has already tragically taken our champ as a casualty), which means SmackDown is left with a reduced roster and not much in the way of star power. I’m pretty sure that the advert for this Halloween SpookDown mentioned goblins, and it severely under-delivered on that particular promise. 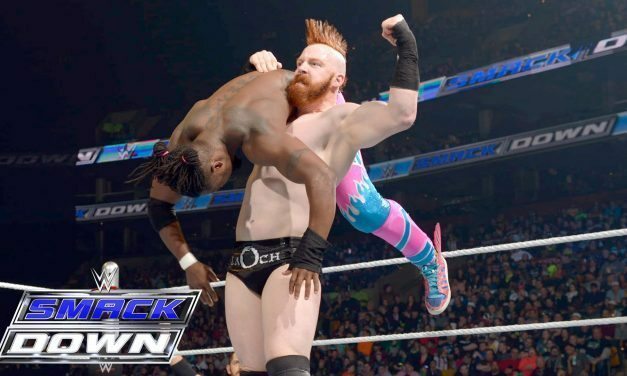 WWE SmackDown (October 22): Prince Pretty Debuts! This SmackDown features Kane playing air-trombone, a fantastically solid opener, and the debut of Prince Pretty. The first part of this show is crafted to protect Roman Reigns’ credibility and ego. Does it succeed? A fun and memorable New Day main event. The WWE SmackDown commentary team are a dark cloud that serve to drastically unravel any work WWE is putting towards token gestures of equality for women. A very fun episode of WWE Smackdown featuring an entertaining main event that would heal the bitterest spirit. Also, enjoy some mental health statistics. The most fun Kane’s been in ages. A pleasantly solid episode of WWE SmackDown, with an excellent main event. Will there ever be a non-disappointing women’s segment? 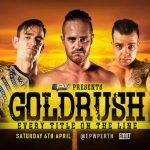 An unusually strong go-home SmackDown, with two great midcard matches and a minimum of annoying rubbish! A decent episode of WWE SmackDown — the main event over-delivered and teased future Owens/Rollins alliances, which could be very interesting indeed. A very silly, but quite fun SmackDown! Table Rights, supervillain lackeys, a double helping of New Day, and Cesaro being Cesaro. Just skip Miz TV. A strong beginning, a breathtakingly boring last hour, a Big Show turn, and the Dudley Boyz! Got a bunch of SummerSlam preview matches here, so if you’re thirsty for seeing these interactions before Sunday, you’ll love this. Otherwise, wait for SummerSlam to disappoint you instead. WWE Smackdown on Syfy, for August 13, continues the Divas Revolution, and pairs up Neville with Cesaro in a fight of good vs evil. This is the sort of show where I’m left rubbing my temples and with literally nothing I can recommend to anyone. A real low point. A clean win in the main event of SmackDown?!? We can’t believe it. WWE SmackDown, the final event before WWE Battleground 2015, takes place with a main event of Roman Reigns & Dean Ambrose vs Sheamus & Big Show. No! Please don’t change the channel! We have Cesaro vs Rusev, too! Slightly more star power than the average SmackDown here; in the form of Paul Heyman and Randy Orton. A crushed cadillac oversees the action. This is mostly like Raw but with Jimmy Uso’s opinions on everything. Always wished Jimmy Uso could be a permanent member of the commentary team? Join us in nightmare world, where we live that reality! 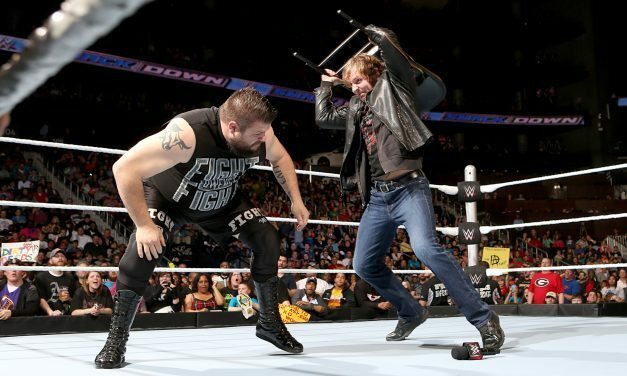 Also: Dean Ambrose vs Seth Rollins – Part 8,000,000. If I had to assign a complimentary adjective to this week’s SmackDown, it would be “watchable”. 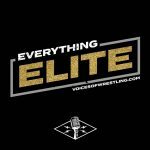 This episode is light on wrestling and heavy on rambling promos, general exposition and filler. The only can’t-miss is the Owens/Cesaro match, but you already knew that. Skip the opening of this show if you don’t want to end up disheartened about Dean Ambrose, but catch the last half hour for an interesting sequence that might end up being significant on Sunday, and a very fun tag match with lots to enjoy. A pretty weak in-ring episode, but quite enjoyable overall anyway, apart from the massive dark cloud of the Miz TV segment. 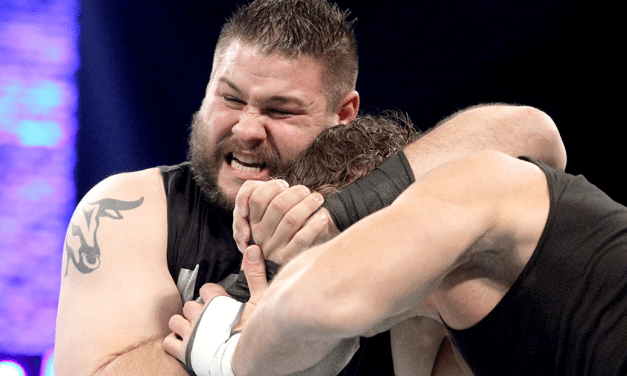 It should go without saying, but don’t miss Kevin Owens. We’ve got all of the Elimination Chamber set-up matches you would expect here: in fact, it’s almost the entire Elimination Chamber card on shuffle mode. A small mercy: Kane only looms over one segment on this episode. Highlights include a gift of a Kevin Owens appearance, and a weird twist ending. This show was a Roman Reigns sandwich with some unexpected bright spots in between, but a sharp drop off in quality in the second half. Interactions between Shield members remain a highlight even almost a year after their dissolution. 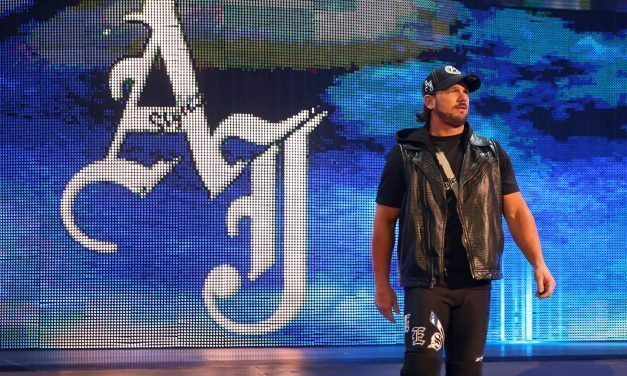 Check out the top and tail of this show if you’re a sucker for Shield drama, but the wrestling’s nothing to write home about. While we were promised a winner in the main event, it’s certainly not the viewer. After a top-to-bottom excellent Raw on Monday, I was harboring hopes that maybe the momentum would carry over to SmackDown, but it was a real mixed bag. 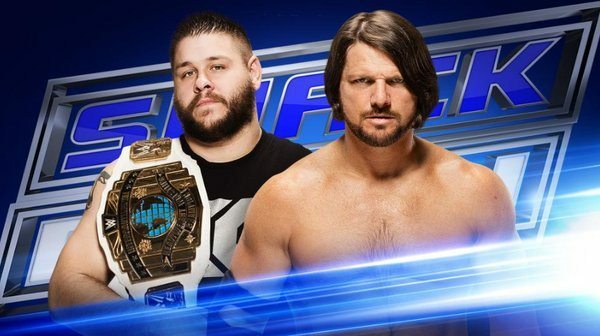 The main event delivered and is the SmackDown match of 2015 that I’ve given four stars. If you are looking to catch the good stuff from SmackDown this week I would watch the main event and Neville in this tag match. This episode of Smackdown was better than a Bill and Ted movie, but not as good as Point Break. This was another good episode of Smackdown. The main event would have been better sans Big Show, but it only makes sense with the upcoming Show/Reigns match at Extreme Rules. There was a nice continuation of storylines. Smackdown continues to be a show that can bridge the gap for stories we see on Raw, but not necessary to watch as long as you watch Raw weekly. This was an excellent episode of Smackdown, a show which has quietly become an entertaining weekly event. It operates how a weekly wrestling TV show should. Smackdown gives you one, maybe two, really solid matches, while the rest of the matches are kept short. Matches are utilized to continue feuds, as are the promos, but all-in-all not too much is given away that it makes you not want to see the PPV being built. The same can’t be said for Raw on a weekly basis. While WWE is busy with WrestleMania AXXESS they are here to give us a subpar go home/throwaway Smackdown show complete with inconsequential matches that were taped after Monday Night Raw! This was a decent episode of Smackdown. Nothing new happened, it was just a matter of beefing up feuds and making things for WrestleMania seem important. Smackdown continues to be centered around the Intercontinental Championship which would be great if the division was the WWE’s sad attempt to compete with Comedy Central programming. The road to WrestleMania continues to be paved with terrible booking, bad writing, anti-climactic matches, silly voice overs, burning rocking chairs, guys who shouldn’t be pushed so much, guys who should be pushed more, zombies, aliens, savages, beasts, warlocks, vigilantes, etc. None of which is remotely exciting. What is the cause for WrestleMania’s woes? This awful pattern of part time stars. You can read more about this in my Weekly WWE Soapbox coming next week! This was a throwaway episode of Smackdown in a lackluster WrestleMania season. I fully expect WWE to step up their game with three more episodes of Raw left. It is disheartening that Cody Rhodes vs. Goldust is apparently being wiped from the WrestleMania card again. It would have been cool to see Dustin Rhodes take on his brother in a Street Fight to ultimately convince his brother to shed the Stardust gimmick. This episode of Smackdown really surrounded around the Intercontinental Championship. SmackDown continues to follow the format of an old Saturday morning WWE show of old (Wrestling Challenge, WWF All American Wrestling, etc.) to where few of the matches go long. Most matches are squashes, but the show does a good job of getting programs/feuds over and continues storylines. Over half the show was taken up by the Tag Team Turmoil match and normally I wouldn’t complain about watching Daniel Bryan wrestle for 45 minutes, but the whole match was silly and contrived. Again, I must ask, why do we care if Bryan and Reigns get along? This show overall was “meh”. This episode of Smackdown won’t wow anyone. It was entertaining in an early 90’s Wrestling Challenge sort of way. It had a lot of two-star matches with interesting revelations throughout. This was the worst Smackdown of the new Thursday era, but it was still a decent watch. It didn’t quite have the pizzazz that you would hope with the magnitude of this being the first live arena show since Royal Rumble. This was another excellent episode of Smackdown. This was a really fun episode of SmackDown. 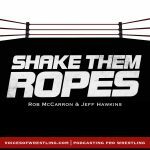 Probably the best episode of SmackDown through and through since I’ve been reviewing the show for this site. Bryan has stated in interviews in the past week that he wants to become the face of SmackDown and this reviewer welcomes that for sure! Was the last SmackDown on Friday nights a preview of things to come? This was a pretty awful episode of Smackdown. It had little substance and zero importance in continuing any storylines. It felt like one of those throwaway holiday episodes of Smackdown that the WWE throws together in a matter of minutes. WWE Smackdown from Oklahoma City saw The Ryback, The Big Show, Dean Ambrose, Bray Wyatt and others continue their road to WWE Tables, Ladders, and Chairs. This was the best episode of Smackdown in MONTHS. It was so refreshing to see new matches, a great debut (The New Day), a new feud started (The New Day/Gold and Stardust), two really good matches that left us wanting more (Ryback vs Rollins and Ziggler vs Harper) and a hot Indiana crowd. This was probably a better show than I will give it credit for. Heel authority figure storylines are getting to be too much and this is the culmination of heel authority figure overkill. This show had two matches rated at *** or more, and that is rare to say for an episode of Smackdown in 2014. The rest of the show? Complete garbage. This was an absolute horrendous and awful and embarrassing show from the WWE. I understand the holiday episodes of WWE are probably some of their lowest rated, because families are busy not watch wrestling, but what happened to the days pro wrestling promotions tried to get families to gather round the TV on a given holiday to enjoy some good ol’ wrasslin’? This episode of Smackdown was better than most recent ones. The Ambrose/Rollins feud gains some heat, but is still hindered by the use of props as a joke and Hell in a Cell could be a better show than anyone expects it to be. This was a good episode of Smackdown. As said previously, the greatest Smackdown moments were refreshing to see since the greatest Raw moments always get so much attention. This was a decent episode of Smackdown, which I feel like I type every time I watch this show, but ultimate Smackdown is always the show that isn’t bad, isn’t good. It’s just “there”. Smackdown, Main Event, and Superstars are never essential for a WWE fan to watch and that is a problem. This was a really pretty good episode of Smackdown. 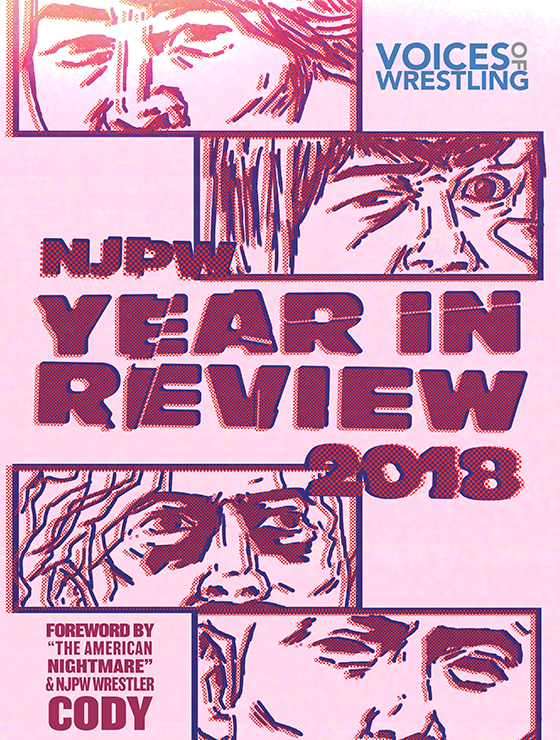 It had some good matches and some good previews to Night of Champions whether it be through the wrestlers fighting in the ring themselves or the video packages they showed. It certainly got this viewer pumped for NoC. This was a so-so episode of Smackdown. The stunt doubles match of the Zigglers vs. The Mizes was definitely the entertaining highlight. The main event was a decent WWE styled main event tag team match that added some heat to the Jericho/Orton feud. This was a really pretty good episode of Smackdown. Especially compared to the last few episodes we have seen. It was heavily filled with in-ring work, but that is a good thing. The matches delivered and at least kept storylines going. This was another pretty stale episode of Smackdown. Nothing happened of substance. If you never caught a minute of this episode of Smackdown you could watch Monday Night Raw on Monday without even realizing Smackdown airing on Friday. WWE needs to do something to make Smackdown stand out. This was surprisingly a really good episode of Smackdown. I suppose that if a casual fan caught this episode of Smackdown they would be pleasantly surprised with the in-ring action and might be enticed into ordering Summerslam on the WWE Network or PPV after the recaps of the big matches. This was an absolutely terrible episode of Smackdown. I am usually the eternal optimist in life and when I watch the WWE, but this show had few redeeming qualities. This was a pretty decent episode of Smackdown. It had two important segments if WWE were smart they would recap both of them on Raw. Those being Paige attacking AJ Lee and Jericho eliminating Rowan from ringside during the Bray/Jericho match. The Cesaro/Swagger match was worth watching if you want a good WWE TV match to watch. Overall this was a pretty good episode of Smackdown. It appears that WWE is trying to increase the ratings for Smackdown lately instead of let it fall to the wayside. Hello, and welcome to the Fourth of July episode of Smackdown! Today the USA turns 238 and the WWE has an Irish born United States Champion defending his title and our country! The go home episode of Smackdown heading into Money in the Bank was a decent one. Less quick/squash matches like in recent weeks. A lot of foreshadowing/build up to both Money in the Bank ladder matches in this episode. 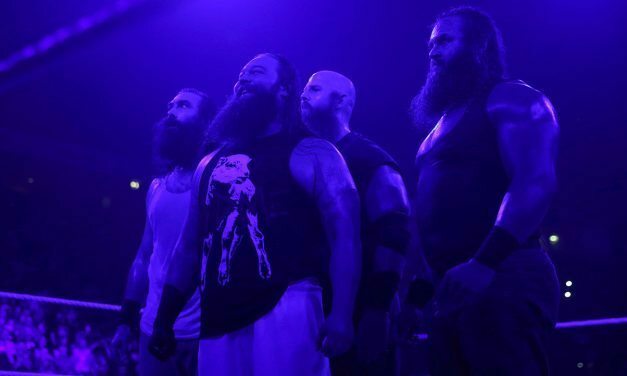 Over the last 4-5 weeks WWE Smackdown has become the show of squashes. The 6/20 episode was no exception. Overall this was a very good episode of Smackdown. 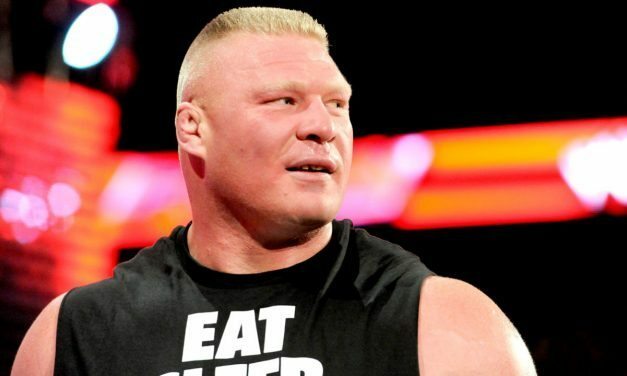 No Cena, Orton, Batista, or Daniel Bryan gave the newer stars a chance to shine. 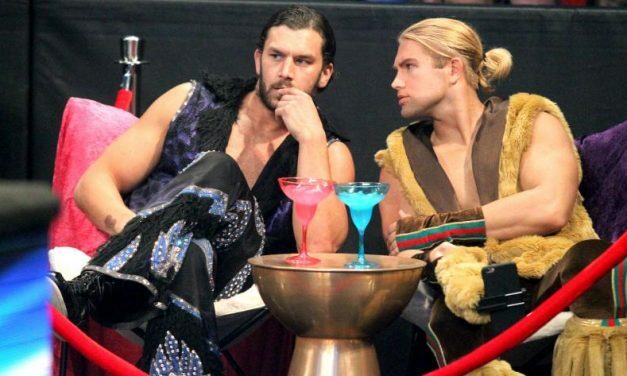 Some did (Cesaro, Sheamus, Ambrose) others, not-so-much (Fandango, Adam Rose, Alicia Fox), but it is telling of the WWE’s future. This was a decent episode of Smackdown. I have certainly seen worse. It definitely had a “Smackdown” Match of the Year candidate with the surprising Ziggler and Batista. If nothing else go back and watch that match. This was not the best episode of Smackdown. Too many short, pointless squash matches topped off with the focal point of this show was based around Cena and Wyatt, which is a feud similar to Kane and Cena a few years ago. There is a lot of time and money invested into the feud and the payoff/delivery left a lot to be desired. This was a decent episode of Smackdown. No stand out matches, but it wasn’t filled with Raw recaps. It at least had pieces of current feuds sewn through the show. And it was nice to see a mid card title treated as something special by getting a main event slot on TV.